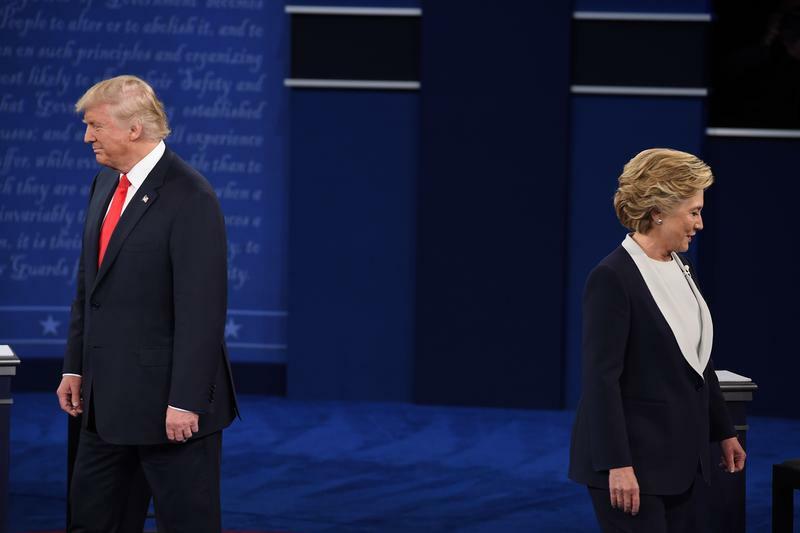 Republican presidential nominee Donald Trump and Democratic presidential nominee Hillary Clinton at the third and final debate. Democratic presidential nominee Hillary Clinton and Republican presidential nominee Donald Trump. 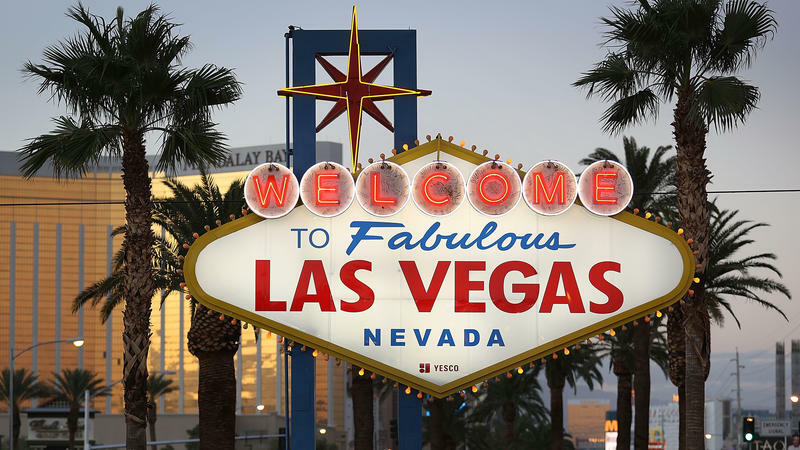 Three weeks out from Election Day, Republican Donald Trump and Democrat Hillary Clinton face off in the final presidential debate Wednesday night at the University of Nevada, Las Vegas. Is Hillary Clinton Really Trying To Win Texas? You can listen to the debate here. The stream from PBS Newshour and live fact-checking tool from NPR will go live at 8 p.m.
Want to know what Texans are thinking during the debate? How the moderator’s doing? Which candidate is winning? How the issues are relevant to the state? Texas public radio stations will be curating a feed of what Texans are talking about in live blog, starting at 7 p.m. You can join the conversation, too — just use the hashtag #TXDecides. The feed will go live at 8 p.m. The final presidential debate between Hillary Clinton and Donald Trump is on Wednesday at 9 p.m. ET. It's the last chance either candidate will have to make a closing argument before tens of millions of voters. It follows yet another unprecedented week in the campaign, in which Trump has repeatedly questioned the legitimacy of the election, predicting that it will be stolen from him through media bias and massive voter fraud. With less than one month until the election, Republican Donald Trump and Democrat Hillary Clinton face off in the second presidential debate Sunday night at Washington University in St. Louis, Missouri. Democrat Tim Kaine and Republican Mike Pence square off in the vice presidential debate Tuesday night at Longwood University in Farmville, Va.
Donald Trump and Hillary Clinton go head-to-head Monday night in the first presidential debate, which is anticipated to be one of the most-watched political events ever.